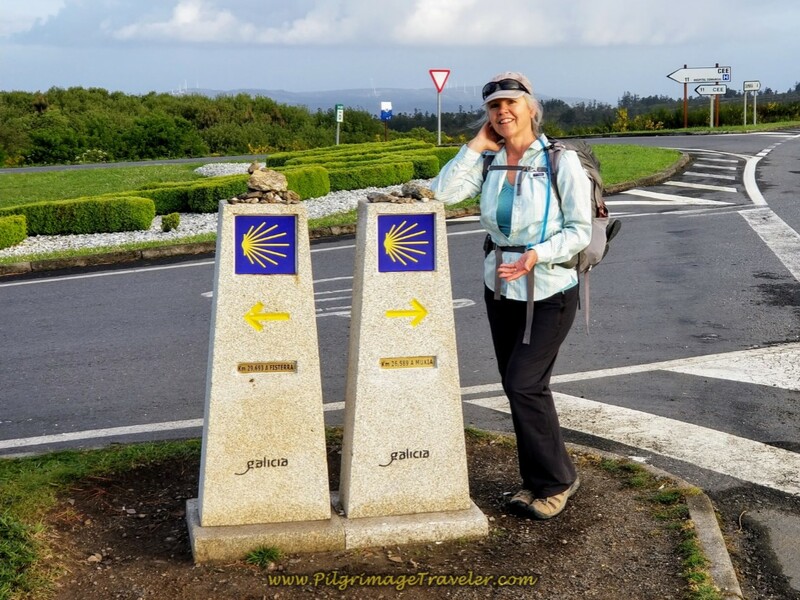 After having completed our Camino Inglés, it seemed only natural to extend our pilgrimage onward via the traditional medieval pilgrimage route from Santiago de Compostela to Cabo Finisterre (Cape Finisterre). As in the time of the medieval pilgrims, my desire for this part of the journey was part curiosity, part adventure and yes, part spiritual. I felt that I would pay homage by walking in the footsteps of those of another time, another place and and another more mysterious faith. By taking this extension of the Camino Finisterre, perhaps I would dance on my own wild edges and discover something new! The dialect of this Northwestern Spanish region or Galicia is called Gallego, which confuses us, because Finisterre, or "Land's End" becomes Fisterra in the local dialect. So similar, yet so different! Whichever proper name you use, Finisterre in Spanish, or Fisterra in Gallego, you will be understood. 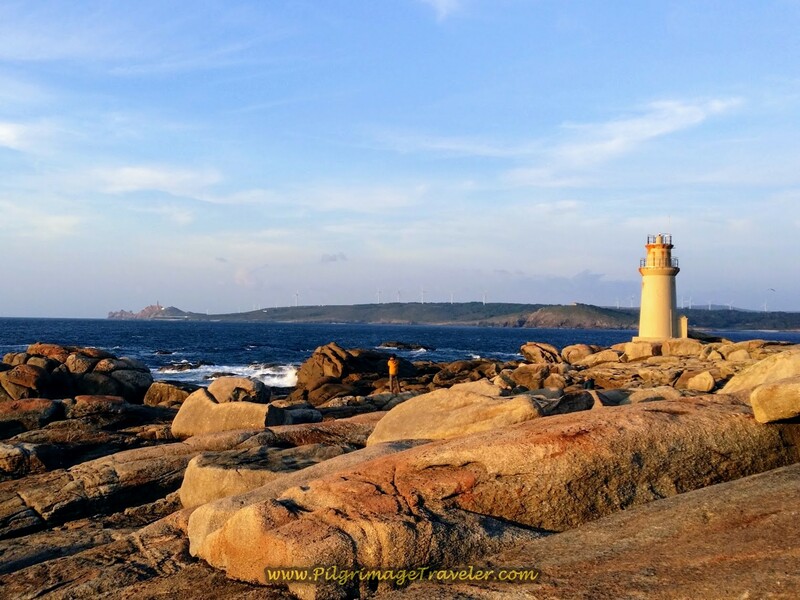 To add even more mystery and drama to Cabo Finisterre, when you arrive at the End of the World, you arrive on a coastline that is rocky and treacherous, and is known in Gallego as the Costa da Morte, or the Coast of Death. The northwestern coast of Spain, from Finisterre to Muxía is totally exposed to the violent Atlantic ocean. When you see the Costa da Morte coastline, as shown in the photo below, you can understand why so many sailors have perished in the storms that prevail here. 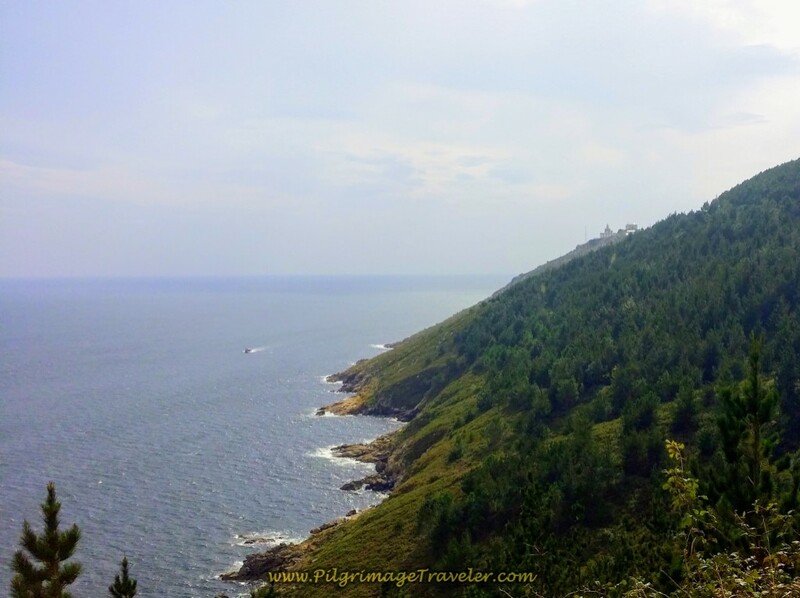 Cabo Finisterre itself, is a wild and unusual place, full of evidence of the modern day pilgrim's rituals at the End of the World and the end of their Camino. This place is most sacred and unlike any other place that I have visited. It is traditional to burn one's clothes, discard worn boots, build stick crosses in gratitude and watch the sunset over the dramatic Atlantic coastline. In the past, you could see the burn scars of the many fires of burnt clothes. There were many boots hanging off the radio tower on the point. As recent as 2014, I saw these phenomenon. For photos of this and my tribute to the pilgrims who left their mark on the landscape here, see my article called From the Cross to the Cape. Now, it is no longer allowed to burn your clothes on the point. Even the bronze boot sculpture, below, once an iconic landmark, is now gone. No clothes or boots are strewn about. It was rather sad for me to see a totally clean Cape Finisterre! I felt that somehow, something was missing, the rituals so important in the past, now illegal. However, time marches on, and rules change for the safety of all! My husband and I contented ourselves with having wine and cheese, while we watched the sunset over the horizon. It is still a very sacred place. 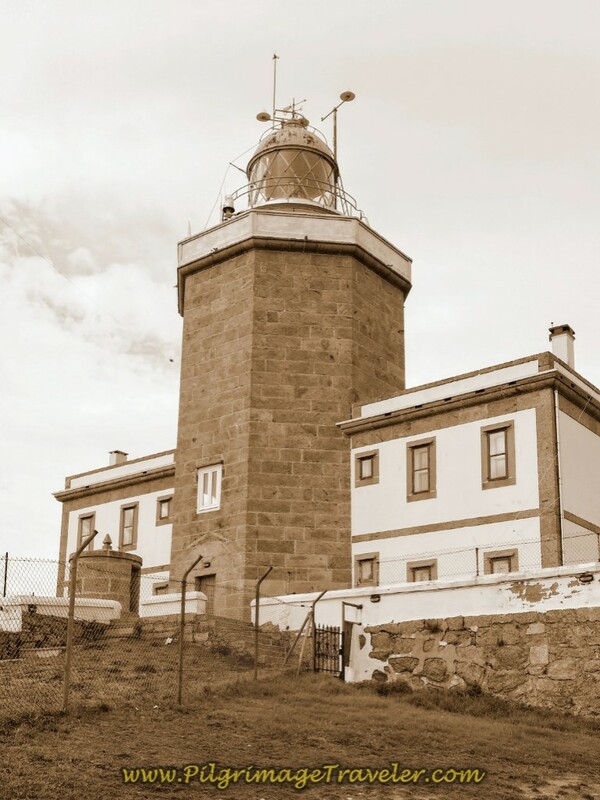 The goal of the Camino Finisterre, is the lighthouse or faro, shown in the photo, below. If you have gotten your Credential stamped on the pilgrimage along the way, you can get another Compostela here, in the lighthouse, documenting your Camino Finisterre. Here is our Google map of the entire route of the Camino Finisterre, uploaded with our personal GPS tracks. You have two options to finish your Camino to the End of the World, either to Finisterre or Muxía. The overall mileage to Finisterre is 89.94 kilometers and to Muxía it is 87.75, by my GPS tracks. The Camino to Muxía is a little shorter, by two or so kilometers, but it is truly a matter of preference which end of the world you prefer. So, why not try both? Which End of the World? Finisterre or Muxía? 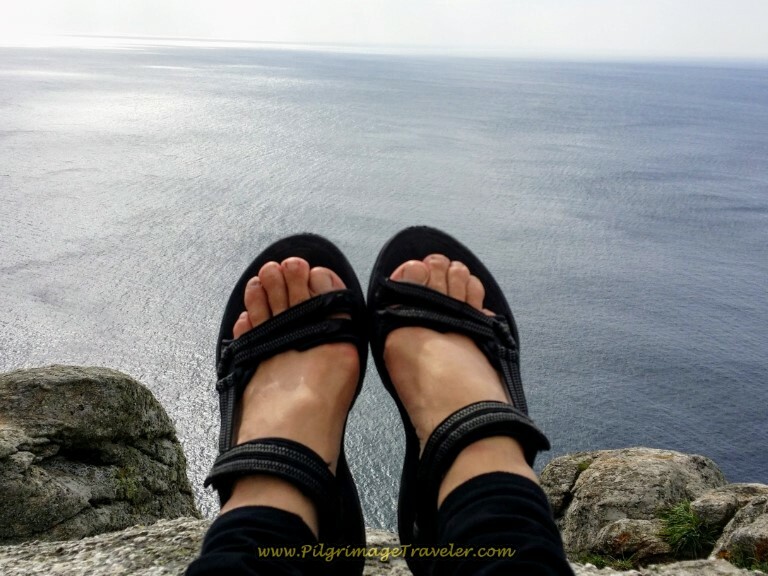 For as many people as go to either Muxía or Finisterre, there are as many opinions on which place is the best, the most authentic "end of the world" or the most spiritual site! It was fun when we came to Hospital, and the place in the road, below, where the Camino forks and you have to make a choice! That's Me, Elle at the Fork in the Road ~ Finisterre or Muxía? For me, personally, I had to go to Finisterre, the "classic" end of the world from the Middle Ages. However, it only adds a day to your Camino, if you go to Muxía as well as Finisterre. Plus, the walk to Muxía from Finisterre along the Costa da Morte is absolutely gorgeous. Trust me, you will not regret seeing the most legend-ridden Muxía, where St. James' body is said to have actually arrived by boat to Galicia in a miraculous fashion, set adrift from Rome where he was beheaded. Muxía is also the final leg of the Camino de Santiago in the movie, "The Way," and in my experience was a more intimate place than Finisterre, and less touristy. However, it truly is a matter of preference and you will not know your preference if you don't see both. I advise you to take the extra day or two if you are able, to see both. Many pilgrims are walking to Muxía, some starting from Santiago who then go on to Finisterre, and others from Finisterre where they have walked first. The choice is yours, which direction you wish to travel. Please see my article on Muxía (click the link) and on Finisterre and the Cape to help you make your own decision. I chose to go to both and I do not regret it. Even better yet, if you have time, why not consider the entire loop, to and from Santiago? I was surprised in my walks to the coast, how many pilgrims were walking backwards towards Santiago. Why not? The medieval pilgrims had no choice in the matter, did they? Below is the stunning coastline at the point in Muxía and its lighthouse, just beyond the famous Nosa Señora da Barca shrine. I do hope you chose to continue your Camino de Santiago onward to the End of the World as the medieval pilgrims chose to do so many years ago. May you dance around your wild edges to find a bit more of yourself and give tribute to your personal pilgrimage. 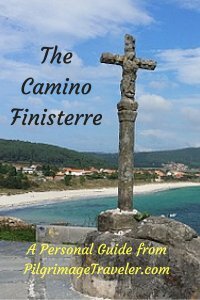 To continue on with me and my personal pilgrimage, go to Day One on the Camino Finisterre to see how mine went! May you metaphorically burn that which no longer serves you on the rocks at Cabo Finisterre. 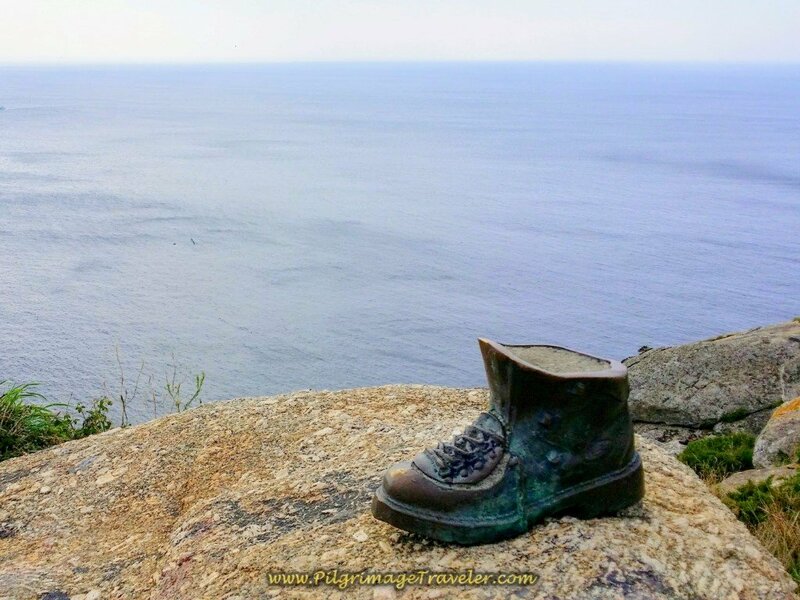 May you build your cross of gratitude and discard your old boots as you watch the sun set on your Camino Finisterre and it's amazing lessons learned.